Whenever a parent of a grandchild is worried about something the grandchild is or is not doing, such as sleeping through the night, or toilet training, this Grandma’s response is always, “well, he or she will be sleeping through the night when they walk down the aisle or he or she will be toilet trained when they walk down the aisle. I guess what long years have taught me is not to sweat the small stuff. My mother, GG (great grandmother) used to say, little children, little problems, big children, big problems. I sincerely believe that nearly everything will work itself out in the end, and ultimately what seemed like a big problem in a little child is not really such a big problem. And, whenever I have said that statement about whatever not happening when the child ultimately walks down the aisle, the parent of the grandchildren laughs and I know, sighs a sigh of relief. Isn’t that a grandma’s job? To demystify and to give relief and respite in any way we can. Parenting is a hard job and we should try to make it easier if we can. The children were studied until age 38, and the study found some exposure to germs ” may help program a child’s immune system to fight disease, rather than develop allergies.” It seems that germ exposure caused by these habits in children ages 5-11 may be a good thing, just like we are learning that early exposure to nuts may be a good thing when dealing with nut allergies. 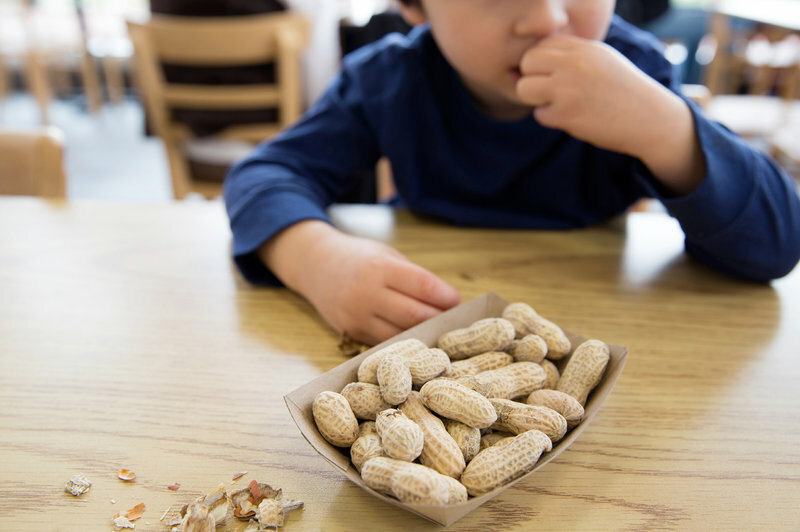 This Grandma does not remember nut allergies so much of a problem when the parents of the grandchildren were young and apparently they were not , as studies show that between 1997 and 2008, the incidence of peanut and tree nut allergies nearly tripled. Now we know according to a study in the New England Journal of Medicine “that high-risk babies who were fed a soupy, peanut-butter mush (starting between 4 and 11 months of age) were about 80 percent less likely to develop a peanut allergy by age 5, compared with kids who were not exposed.” See this link. The best part of these new studies is that it shows that children’s bad hygiene and bad habits that make the parents of our grandchildren crazy should not necessarily make us crazy. And, it is up to us grandmas to point out the studies and pass this information along. Empower the parents with some of the ideas given by experts. After all, it will also make our grandchildren’s lives better too. Maybe next time a young grandchild is covered in mud, we grandmas and the parents of the grandchild can laugh together. Allergy prevention at work!